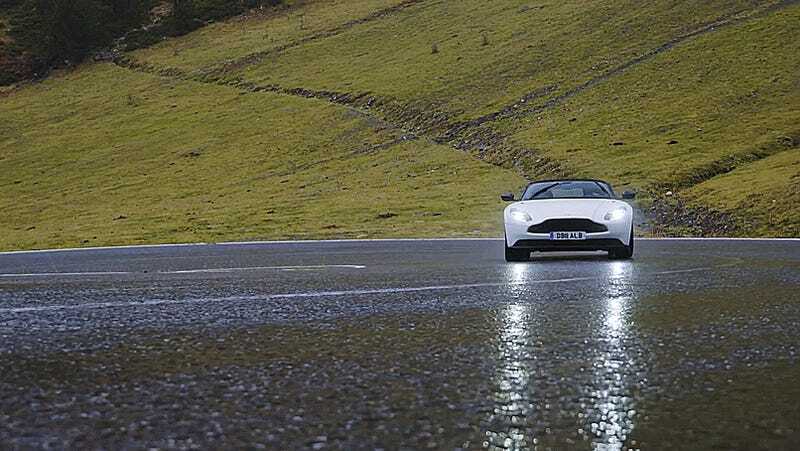 An English man drives the new Aston Martin DB11 V8 down to a dead end on a mountain road through all sorts of weather, dodges cows, gets lost, and comes to terms with the color purple. The good news for Aston Martin is that people with money tend to like to spend money, particularly on whatever has the biggest sounding name with the most power. Thankfully that means we keep the good DB11 V12 and also can have the great DB11 V8. With only a 18 lb-ft difference in torque between the two different models, the V8 feels surprisingly competitive with its V12 big-bro. Now it just comes down to how you want to answer the question people will constantly be asking you.